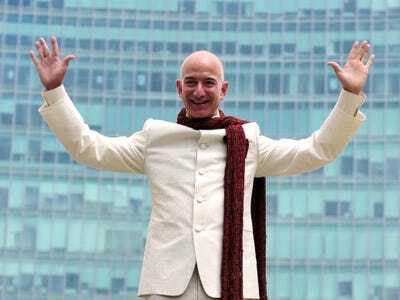 REUTERS/Abhishek N. ChinnappaJeff Bezos, founder and chief executive officer of Amazon, poses as he stands atop a supply truck during a photo opportunity at the premises of a shopping mall in the southern Indian city of Bangalore September 28, 2014. Amazon and Hachette have finally ended their brutal pricing war by coming to a new, multi-year agreement for ebook and print sales. 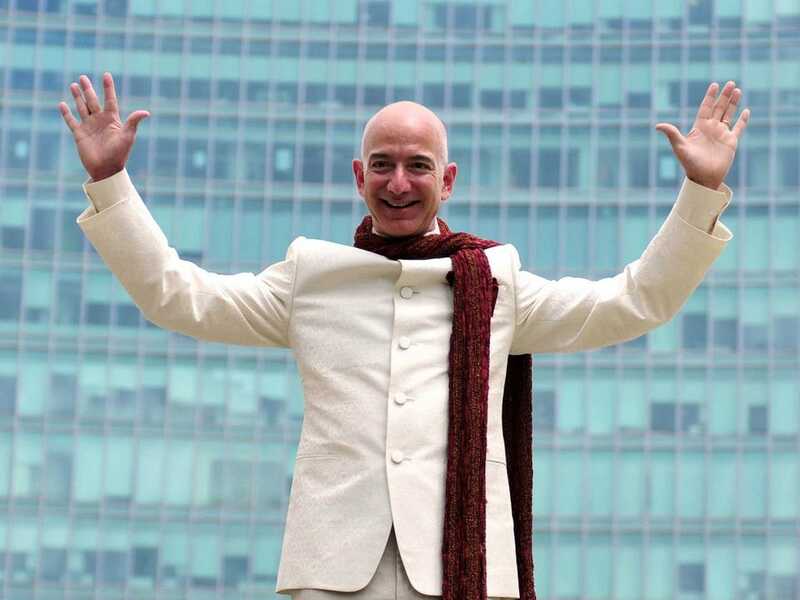 Amazon and the “Big-Five” publisher had been engaged in a stand-off since the spring, after Hachette’s contract expired. Amazon had removed pre-orders for Hachette books and stalled the delivery of some titles as it tried to convince the publisher to price all its e-books at $US9.99 and give it a higher cut of sales. The new agreement doesn’t price all of Hachette’s e-books at $US9.99 but instead gives the publisher incentives for offering lower prices. “Hachette will have responsibility for setting consumer prices of its ebooks, and will also benefit from better terms when it delivers lower prices for readers,” according to the companies’ joint press release. Hachette Book Group and Amazon (AMZN) today announced that the companies have reached a new, multi-year agreement for ebook and print sales in the US. “We are pleased with this new agreement as it includes specific financial incentives for Hachette to deliver lower prices, which we believe will be a great win for readers and authors alike,” said David Naggar, Vice President, Kindle. The new ebook terms will take effect early in 2015. Hachette will have responsibility for setting consumer prices of its ebooks, and will also benefit from better terms when it delivers lower prices for readers. Amazon and Hachette will immediately resume normal trading, and Hachette books will be prominently featured in promotions.